The cupboard has gone “holidaze” 3 days before Thanksgiving. 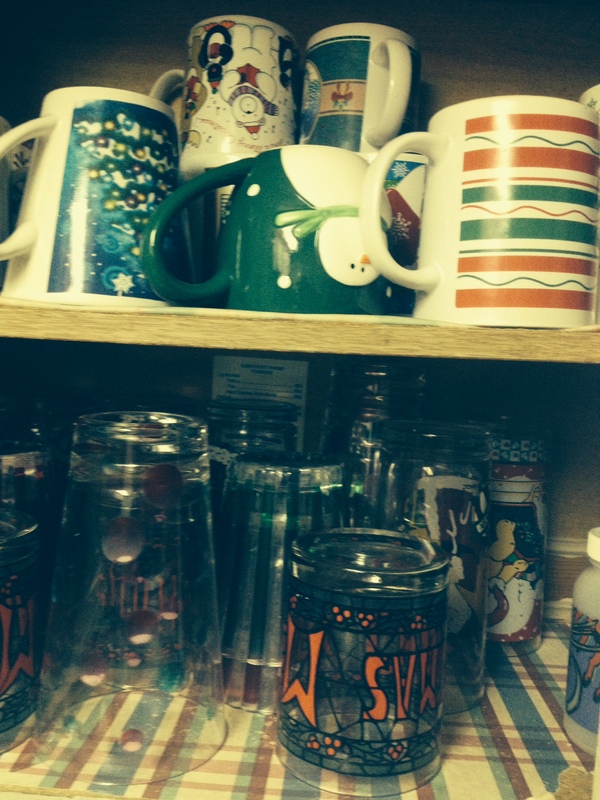 An honored and cherished holiday tradition around our place is breaking out the Christmas dishes: coffee cups, tumblers, plates and saucers, a veritable cupboard full of holiday cheer. In the early years when the kids were young, we would switch out the Christmas dishes the same time we put up the Christmas tree and then put them up the same time we put up the holiday decorations after Christmas/before New Years. A few years ago, we extended the holidays in a sense as we decided the “put ’em up” date” would be the Martin Luther King weekend in mid-January. This year, I moved up the “get ’em out” date earlier than ever: the Monday before Thanksgiving! So the spirit of the holidays comes earlier and stays later with passing time. If we live long enough, we’ll have them out from Halloween till Mardi Gras. 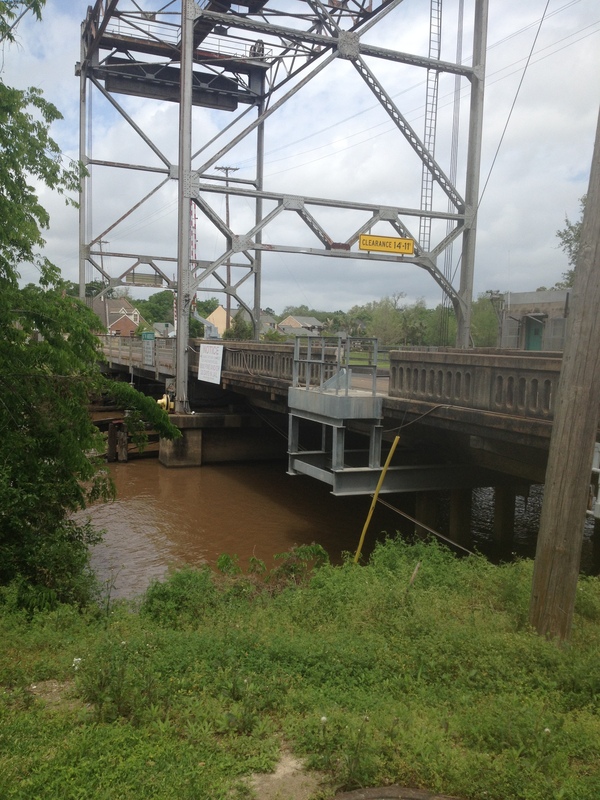 I drafted this piece after running across the digital photo below that I took last May after crossing the Bayou Vermilion on the way into downtown Abbeville. I have married friends who hang out in night clubs. Some who frequent flea markets and garage sales. Some whose delight is festivals and fairs. Shopping malls. Even casinos. Or hunting and fishing in woods and on lakes. Where do we hang out? Supermarkets. And what’s our favorite supermarket? The franchise has expanded with stores along the coast in Mississippi and Alabama, but pas d’erreur, Rouses is a Louisiana brand. 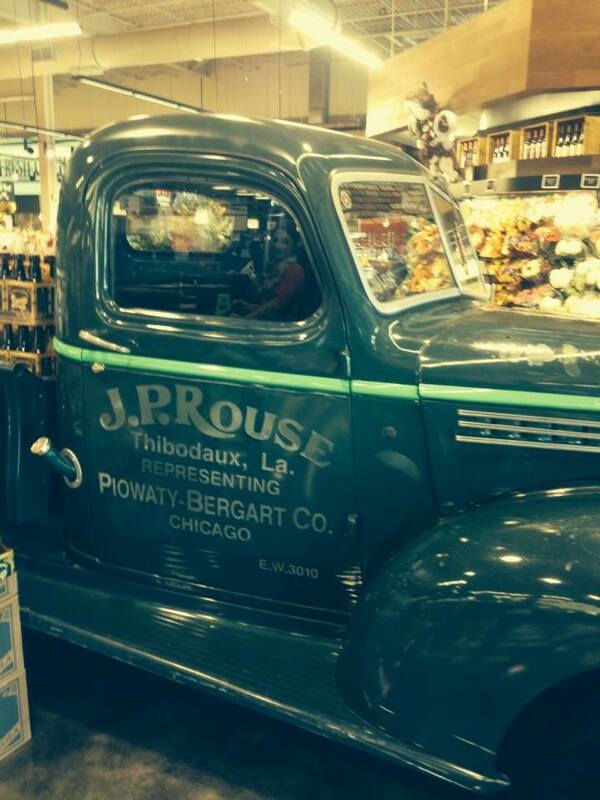 So we were excited yesterday as we accidentally came across the newest Rouse’s (Store 48) in Acadiana. We were taking back roads out of town when “Voila!” There it was, open for business. I knew a store was under construction at that location, but I didn’t know it was already open. We can hardly pass a Rouse’s store (that big red “R” on the marquee evokes a hypnotic attraction that draws us into the parking lot), so we pulled in and dilly-dallied at least an impromptu half an hour. We loved it. This will be our new “favorite” store. We like Rouse because the chain’s stores are distinctly regional. They’re similar to other supermarkets in that they sell regular groceries, but they’re unique in the availability of a long menu of ready-to-eat dishes—from pizzas to specialty sandwiches to full-course meals to exotic bakery fare—all available for in-store eating or take-out. And, their seafood, produce, and meat markets are remarkably more diverse (with fresher stuff) than the run-of-the-mill national chains’ markets. We can get wild-caught seafood of just about any species, especially Gulf Coast critters. I find comfort knowing that the shrimp on my po’boy were harvested recently in Gulf waters rather than imported from South America; or that the oysters on my po’boy came from Terrebonne Bay, not Puget Sound; or that the crawfish in my etouffee came from a cultivated aquaculture pond in Acadia Parish rather than a drainage canal in China. In the cycle of teaching second-semester English composition, my favorite season rolls around this time of every term: Learners begin their bio-critical investigations into the lives and one or more works of an author they read earlier in the course. 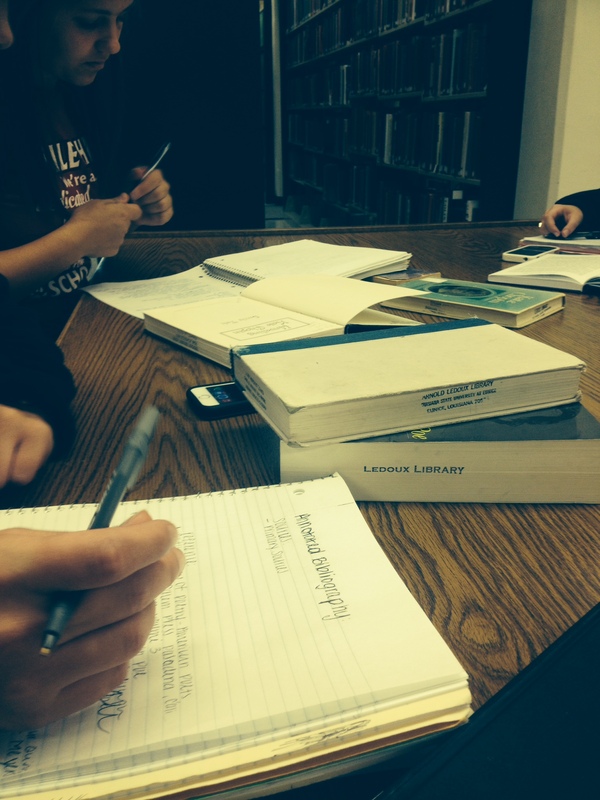 We’ve read, discussed, wrestled with, cussed at, and written about so much. Now the course leads to this ending project in the semester’s closing month where their curiosity takes over from the syllabus’ unit by unit litany of obligatory readings, quizzes, and writings. Even though the most onerous project of the term lies before them, a research paper, they enter the library with a sense of liberation now that the search is their own, their curiosity their guide. The work of inquiry is messy in the beginning, but scholars don’t mind: It’s theirs! I love watching them work, as they prowl the stacks with a scratch sheet of titles and call numbers and then open their eyes widen in amazement as they arrive at their author’s section and find not just the 3 or 4 books they jotted down, but rows and shelves of books by and about the object of their search. I wonder if the gold-hungry Fortyniners of old Californy had more joyous expressions on their faces when specks of gold flashed in their panning screens than these scholastic fortune-hunters show when they discover those mother lodes of and books and volumes arrayed before them. The students use searchable online databases to find articles and information, too, but nothing prompts the old-school in me more than a group of students seated around a reading-room table with a messy stack of books and journals spread before them, their notebooks open and pens poised as they pore over indexes and tables of contents and pages of books, mining out the knowledge they seek amid the overwhelming information they’ve found in their search. As a teacher, the process reminds me that the student’s self-directed critical inquiry leads to the highest order of learning. I can lecture and demonstrate and remonstrate for hours on end, but at this point I shut up and stand aside as they assume ownership of the task. They flatter me by occasionally asking questions, but for the most part, they’ve “got it.” And so do I as I stand aside, available to intervene if necessary, but mostly admiring the fruition of pedagogical labors that led to this hour. A photograph can tell a poem. This one sure does. 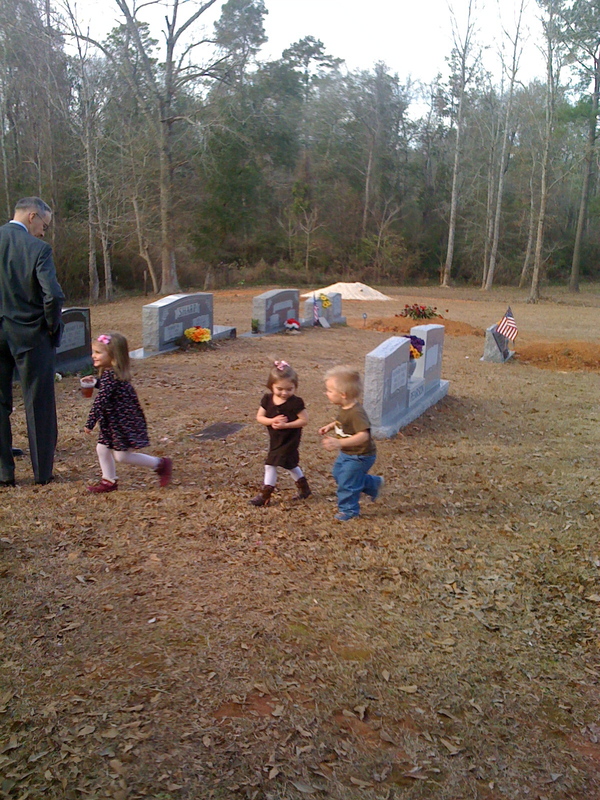 It shows my granddaughter with my grandnephew and grandniece romping through the cemetery on the day of my Daddy’s funeral in 2010. Aren’t those kids disrespectful? Why doesn’t someone yank them by the arm with a stern reprimand to show some respect for the deceased? We should teach our children the values of our forefathers, that we respect the deceased among us! But one person that I know who would have said, “Leave those little kids alone” was Daddy, even though he was one of those older ones with traditional values. To have seen those innocent little ones dancing among the tombs, oblivious to the sting of death and the solemnity of that graveyard, would have drawn a granddaddy smile to his face. Yes, I believe some gracious, sweet faery had those little children by the hand that January afternoon at New Zion, knowing that grown-up reality will come to their lives soon enough. On this day, not of death but of life, may they play! 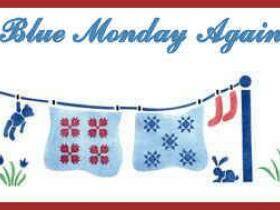 Boast not, Blue Monday: Your days (and your daze!) are numbered by the Teachers Retirement System of Louisiana.